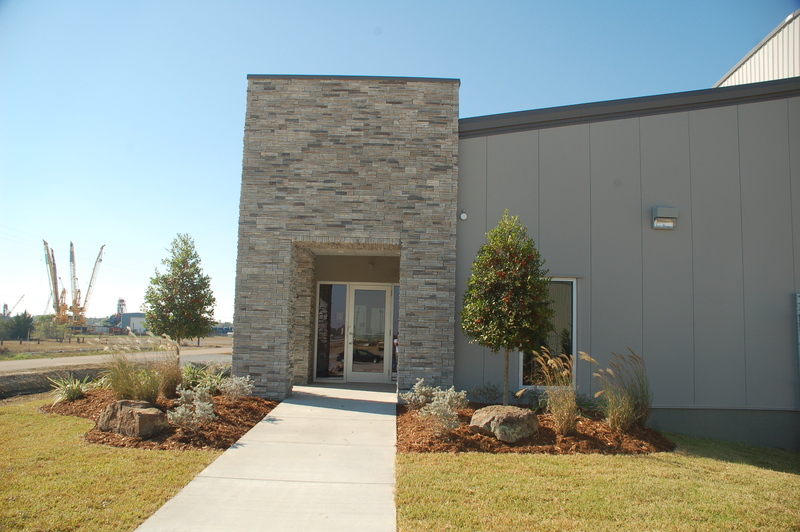 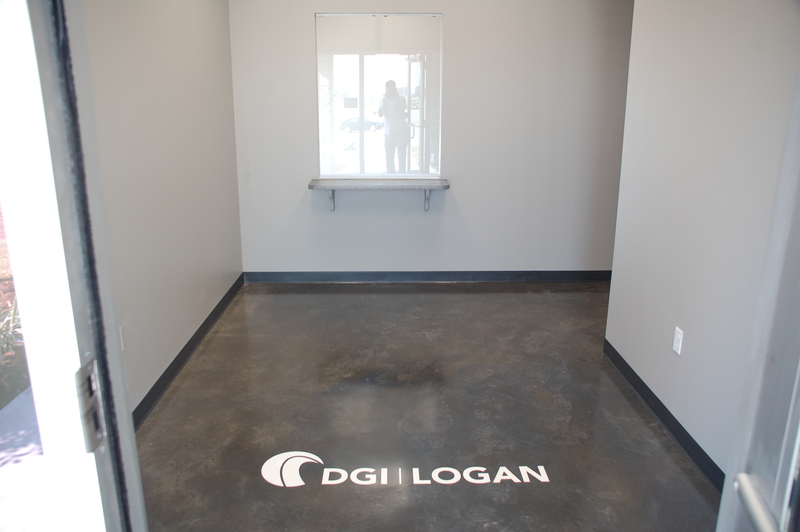 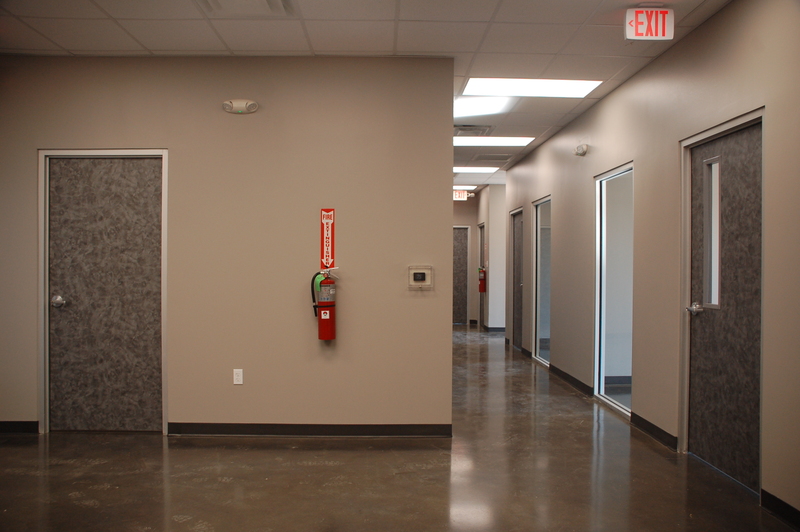 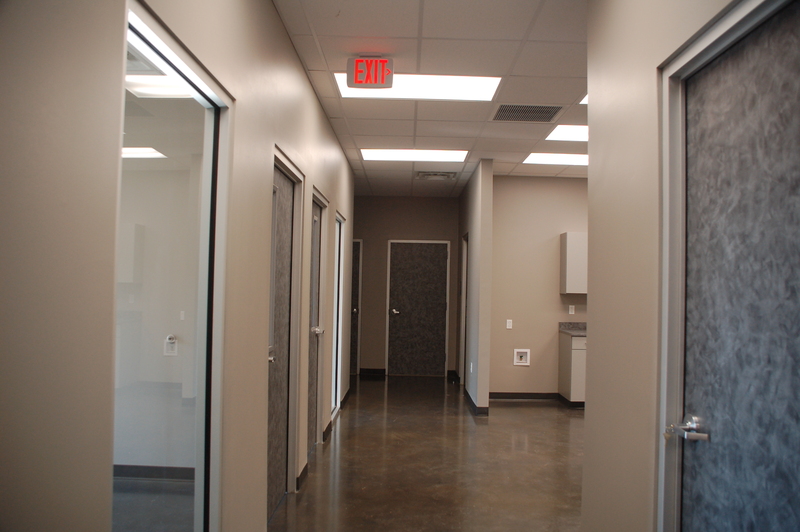 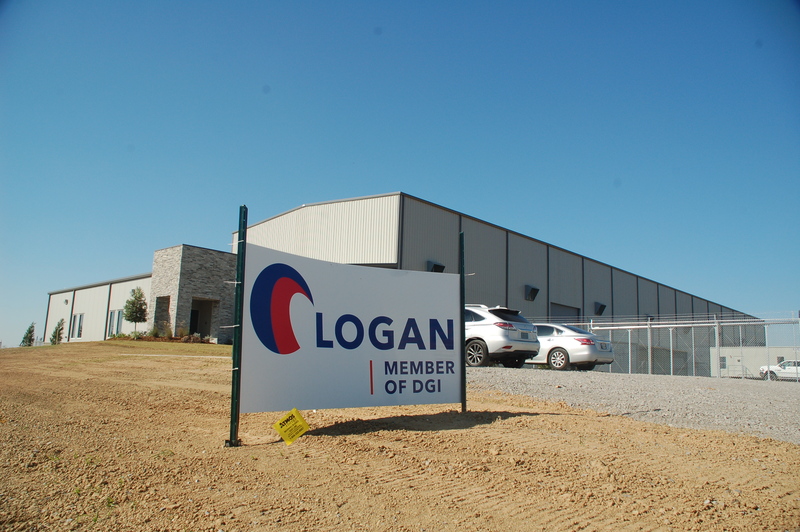 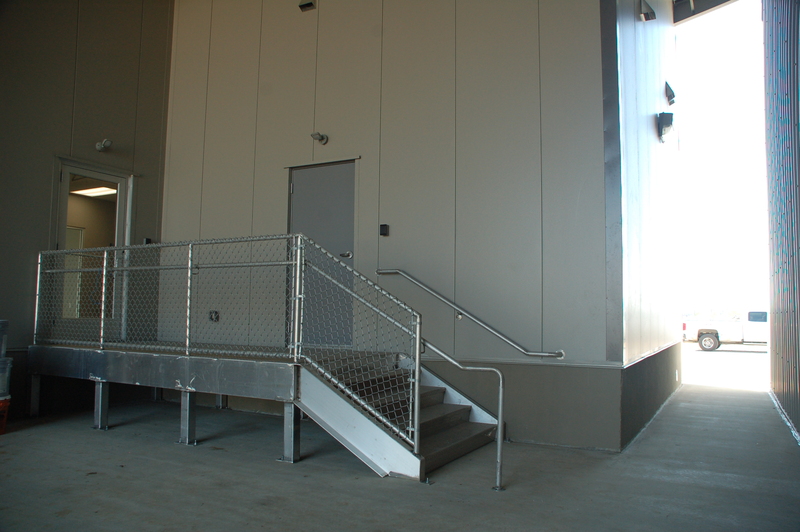 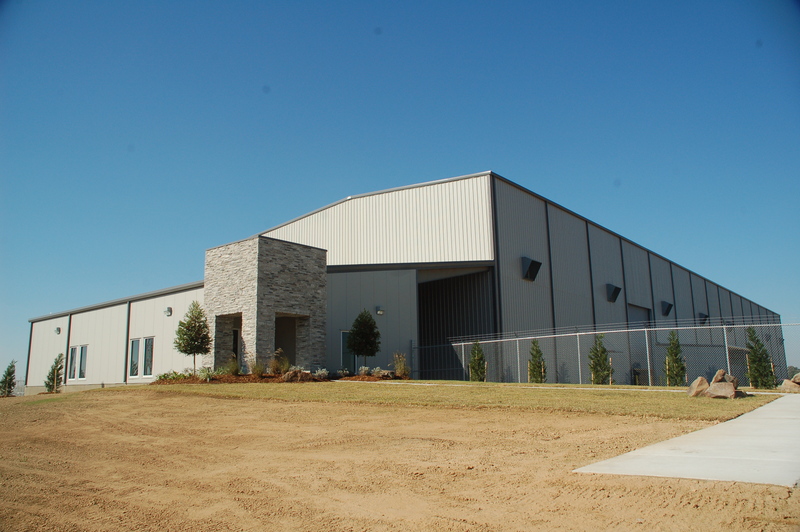 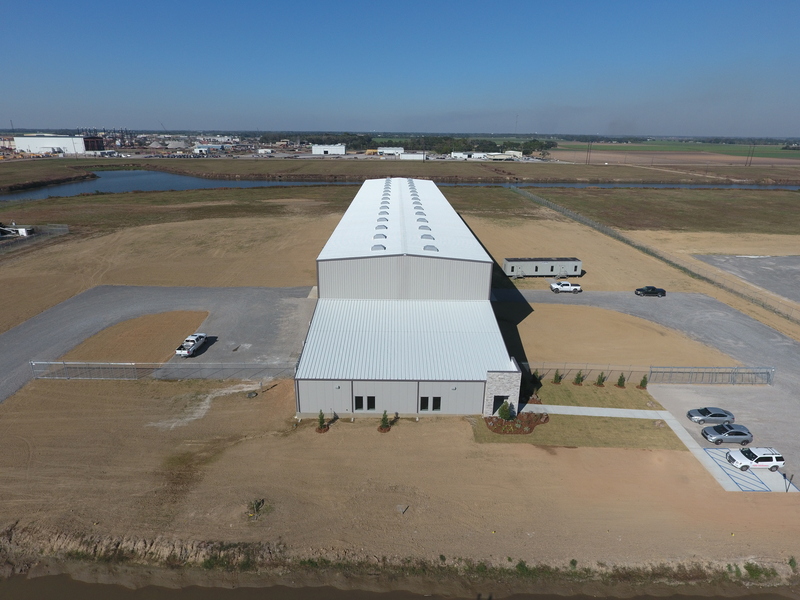 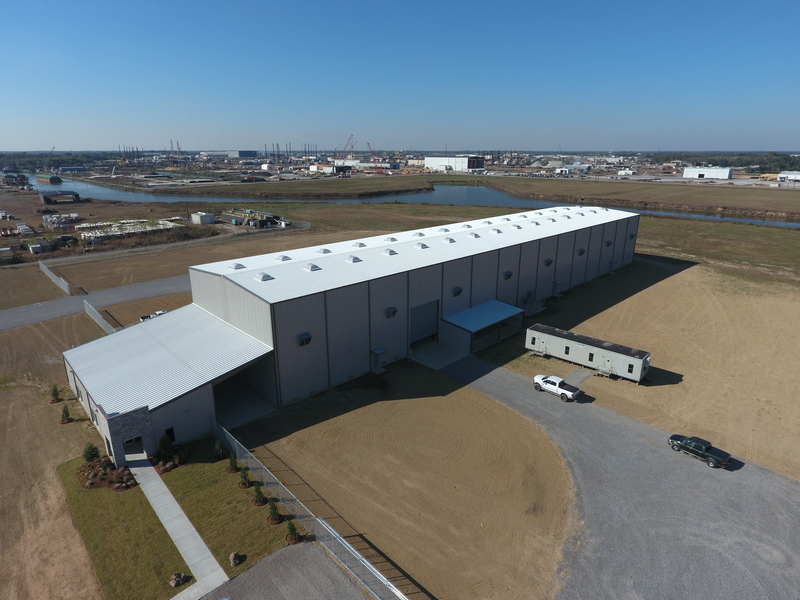 This building features a 30,000sf warehouse and 3,000sf office.It is structurally supported by over 1,100 timber piles that are set roughly 50 feet in the ground. 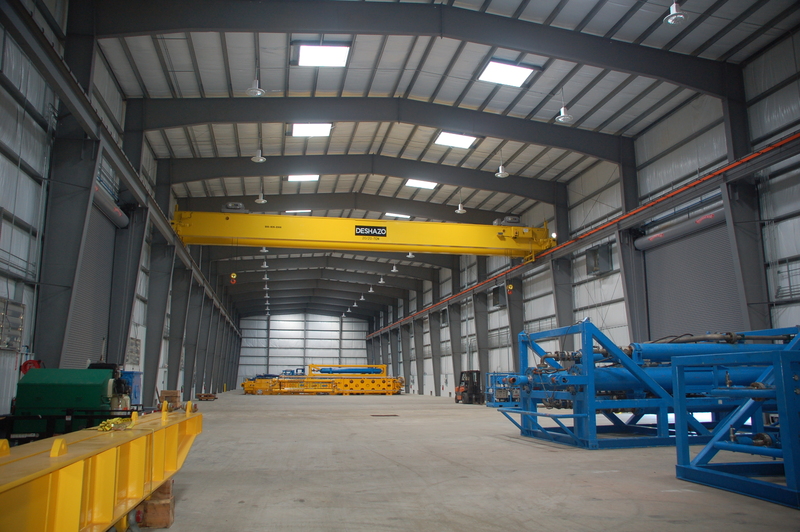 This building features (2) 40-ton Deshazo Overhead Bridge Cranes, Smart Vent Flood Vents that prevent hydrostatic pressure damage by allowing water to flow into and out of the building during flooding, exhaust fans and mechanical louvers with motorized dampers, Holophane LED lights that have energy efficient sensors that detect occupancy and have self-dimming features, and a reclaim system that recycles wash water. 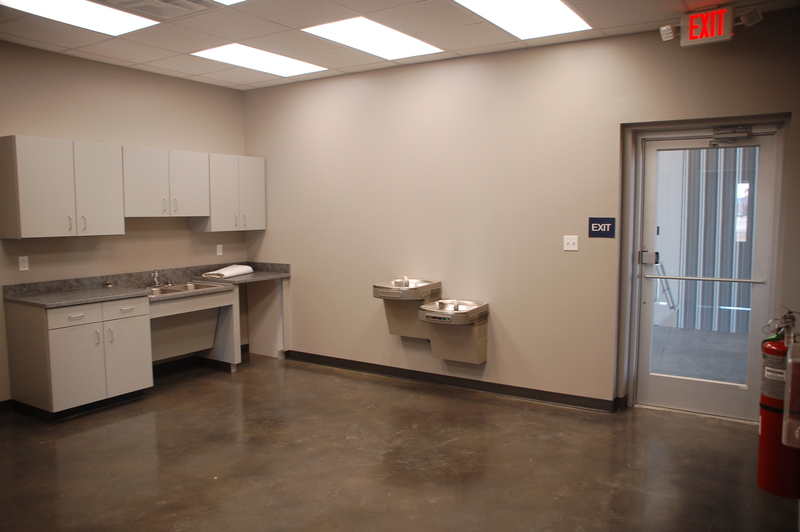 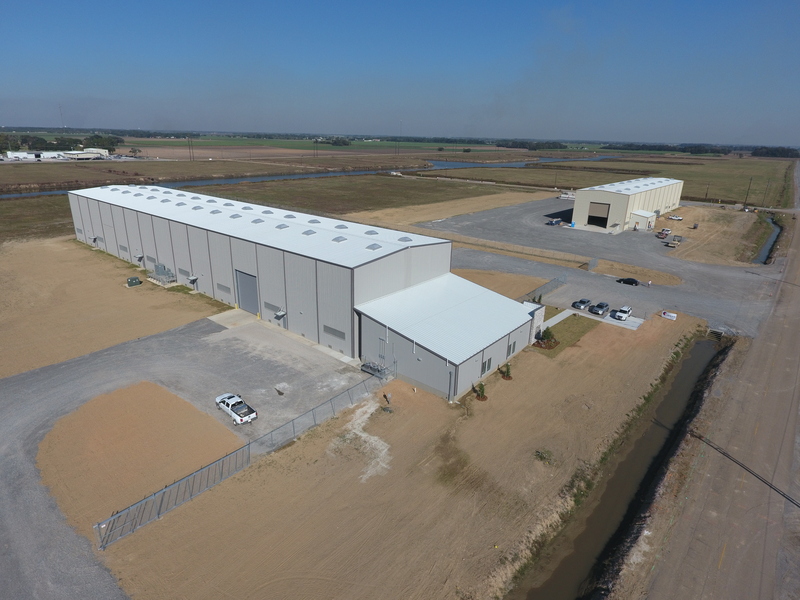 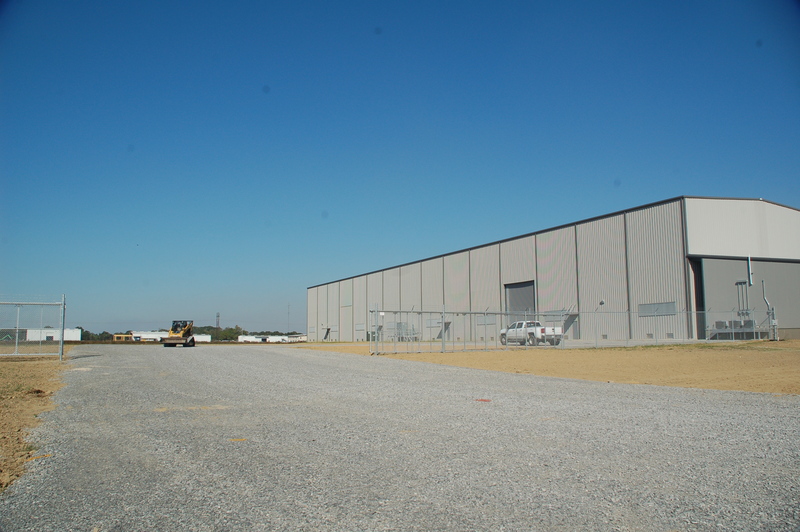 This building will be used to store and service the “Top End” units of deep water drilling rigs. 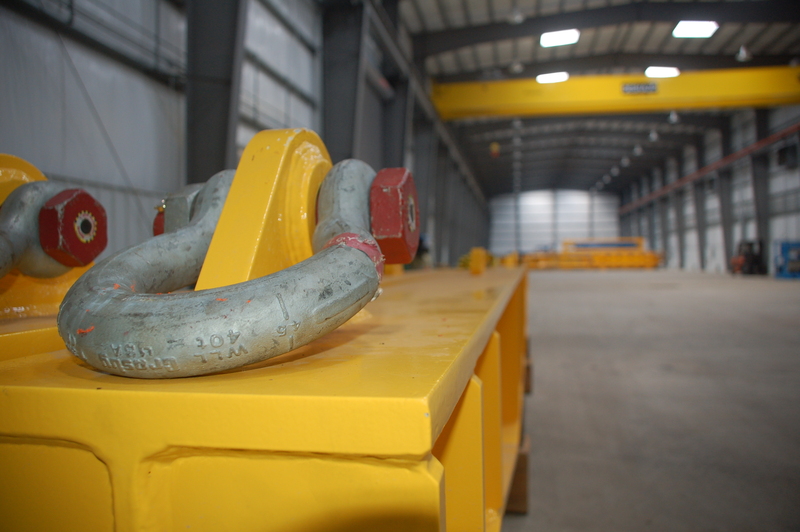 Each unit weighs approximately 150,000 pounds!